Aria Telecom offers best call center software to manage inbound and outbound calls for business and organization. Call center software commonly refered as contact center solution.Through a call center solution, you are able to easily monitor, track, manage and route telephone calls to your clients. 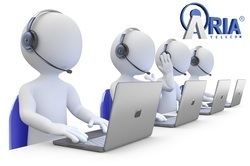 Auto dialer system is one of the easiet way to manage outbound call process in call centers. It is complete contact center solution for inbound and outbound call center solution. Auto dialer a list of telephone numbers and connects only answered calls to the agent waiting to get bridged. The system lets you to monitor almost every call status. Monitoring of various campaigns can be done and you can create & edit role as per your need. It gives full flexibility to use IP Phone, soft Phone, Any TDM PBX, FXS Gateway, Mobile, and Landline. 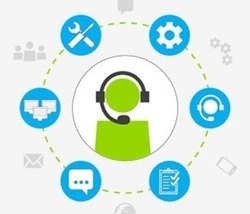 Businesses are increasingly recognizing the compelling advantages of moving contact center infrastructure to the cloud as they seek competitive advantages in customer satisfaction and retention while still controlling overall costs. The cloud streamlines the process of providing modernized, up-to-date service to customers, personalizing service to meet their preferences and demands, in addition to providing the advantages of cost, reliability and flexibility. 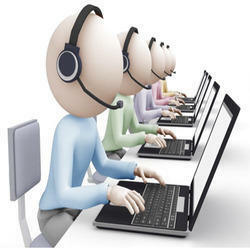 We are focused on providing Call Center Solution to the national and international clients. Our team comprises of intelligent visionary staff ready to service overseas clients on immediate basis for the service. Data, voice, KPO and all types of services that included in business process unit and call center can be provided by us. To gain the confidence of the clients, we are already running small projects that can be taken as reference. In addition with it, the solutions can be availed at budgetary deal from us. Aria’s advanced customer care solution enhances contact center operations end to end, reduce costs, and improve customer experience. We deploy specialized call center software and technical solutions to streamline contact center processes. Our focus is always on first-time call resolution and transaction accuracy. Set call back-Can set alarm for the follow up with customers. Aria Telecom provides corporate calling solution to provide high end calling solution for corporate offices. It is a complete contact center solution that unites inbound, outbound and blended process. Aria Telecom is well known telecom solution provider with qualified expertise in developing Call Management Solution. The solution is designed with advance telephony technology which offers best of calling service. The solution offers various facility including inbound/outbound call facility real-time reporting, call history, call recording, live monitoring, missed call alert, call queue management, performance analysis etc. Add, edit and delete multiple users/campaign etc. Aria outbound dialer is automated dialing solution that dials multiple contact numbers reach out larger customer base. It supports multiple languages and contains an impeccable control over the calling operations. Aria cloud based call center solutions are completely browser-based so you can access them from any browser, any time.